Every corner of the travel industry—and every part of the globe, by extension—is finding creative ways to harness tech and lure a new crop of travelers who are more enthusiastic about exploration than any generation before. It's a time of great opportunity and great risk, as hotels reinvent themselves to compete with Airbnb, travel bloggers gain massive influence, and cities suss out whether emerging platforms like Snapchat are worth their time (and marketing budgets). 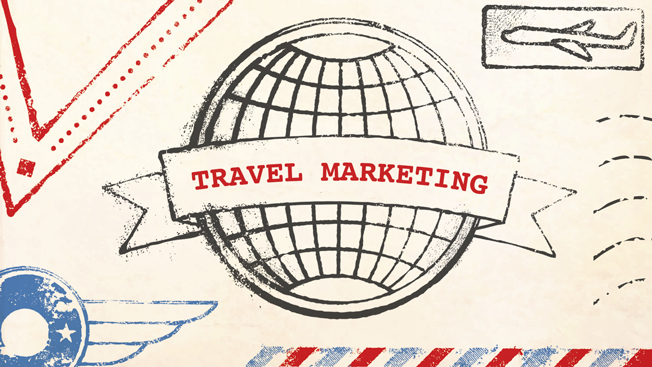 Today, Adweek launches our Travel Marketing Report, an extensive look at the latest trends in the industry. Staff writer Christine Birkner takes a look at whether Airbnb is impacting hotel chains' bottom lines. (The answer might surprise you.) Her report explores how hotels are giving millennials what they want. After Rhode Island caught flak for using an out-of-state agency for its recent tourism campaign, staff writer Kristina Monllos looked into whether tourism boards should hire local. Some trends start with a single photo. That was the case for Murad and Nataly Osmann, who started the #Followmeto craze on Instagram. Staff writer Lauren Johnson details how the couple's distinctive photography style led to campaigns for Macy's, Beringer Vineyards and more. Travel apps are making life away from home easier and cheaper. From renting out your car to booking cheap hotel rooms, contributor Ross Benes explains which apps you need to download for your next trip. Travel bloggers are quickly replacing travel writers as influencers have become social media rock stars who churn out content their followers crave. Contributor Nicole Spector looks at the impact this shift is having on marketers and consumers. Want a window into the good life? Associate web editor Jameson Fleming highlights five travel bloggers who are building lifestyle brands around their adventures (and whom you should really be following). Snapchat is becoming an increasingly important tool to reach millennials, considering more than 40 percent of them use it daily. Staff writer Marty Swant reports how tourism boards can snap their way into users' travel plans. We also got an inside look at Las Vegas' new Snapchat strategy, which got a big boost from social star DJ Khaled. We'll add coverage as the week continues. Bookmark this page and check back.